5 Home Security Upgrades You Should Make In The New Year | Calgary Alarm Inc. The arrival of the new year is always exciting because of the opportunity for change that it presents us with. People change how they eat, try and get rid of bad habits, commit to more proactive lifestyles, and even pick up new hobbies. A security camera will let you keep a 360 degree eye on your entire home, inside and out, from a centralized location. They allow you to see who is at your front door or pulling into your driveway and are great deterrents for potential thieves who see they are being watched and recorded. Many of today’s home security systems will send you alerts that let you know when someone has entered your home, whether that person is welcome or not. They can also be programmed to notify the authorities of breaches or fire alarms when you are not there. Update your fire protection system. The standard fire prevention and detection systems most people have in their homes are the standard smoke and carbon monoxide detectors. Consider upgrading to a system that also detects abnormal heat sources that can warn you of a potential issue before it becomes a fire. Being able to arm and disarm your home security system with the sound of your voice is very useful. Not only is it less of a hassle to simply voice command the system to do something, you are ensuring that only you and other designated family member are capable giving these commands. The added convenience and accessibility of a wirelessly controlled and integrated system gives you remote access to all of the systems installed in your house, whether they be cameras, fire and smoke detection, motion sensors, or otherwise. From your phone or tablet, wherever you are in the world, you will be able to make well informed decisions about how to control and manage these systems when you cannot physically be there. 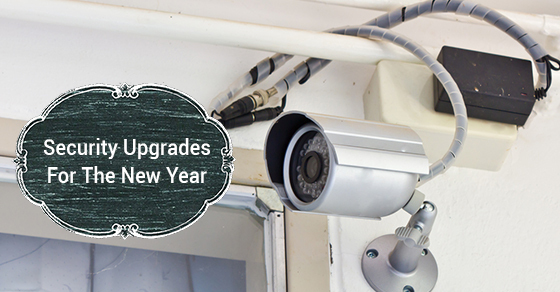 Upgrading your home security system for the new year is a smart resolution, and an easy one to keep. Having better security measures in place to protect you, your family and your belongings is worthwhile, easy to do, and pays dividends throughout the year in the form of peace of mind and a clear conscience.